Here's a good look at what has gone down in Columbus so far and what could be coming next via an ESPN Outside the Lines report which aired this morning. 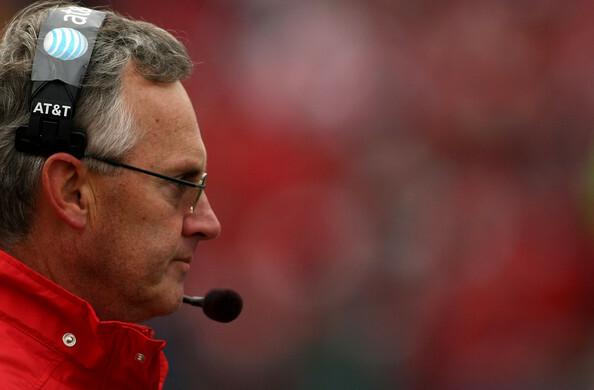 The brass from OSU, and Jim Tressel will sit down with the NCAA this Friday to hear their fate. They could face further sanctions beyond the self-imposed ones that OSU levied on themselves earlier this year which stripped all wins from 2010 from the record book including a Sugar Bowl win over Arkansas in which 6 ineligible OSU players played in. It's a complicated situation, with multiple violations being spread across individual investigations. As this report shows, the scandal at OSU goes far deeper than the head coach...who did a wonderful job maintaining plausible deniability up until the time he was caught in his own lies in December 2010. ESPN writer Tom Farrey writes that the NCAA may be heading towards a fundamental change in the way it handles and deals with programs that break the rules.